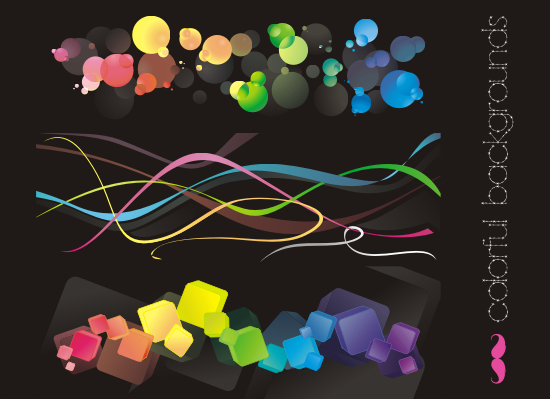 3 Free Colorful background Vector! You love the colorful or rainbow when you design your own illustration? You will like it when you visit the artist website, Pinkmoustache.net!